I’ve seen some pretty incredible feats of technology come and go over the years. 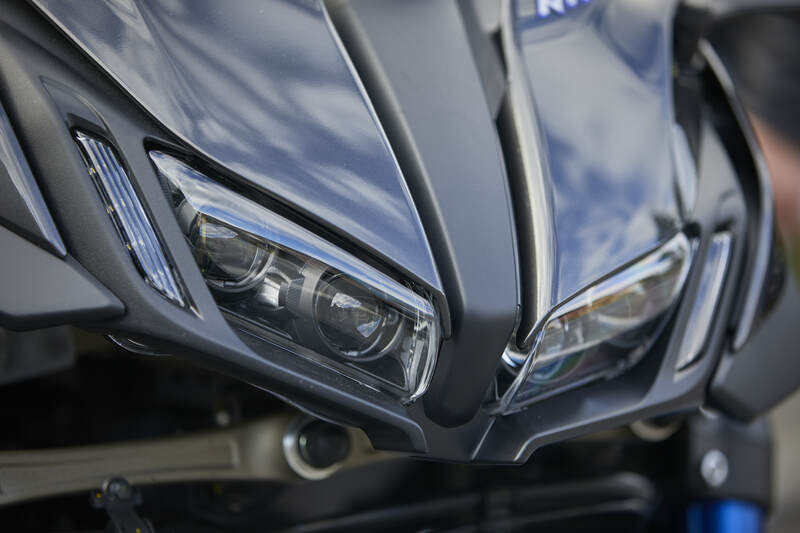 Manufacturers constantly push the boundaries of what’s deemed normal and many things that featured as mechanically pioneering have ended up as standard items on today’s motorcycles. There have been a few standouts in recent times and certainly the three-wheeled scooter variants have caused a lot of interest. But could anyone really pull off the bold move of putting what was once scooter-only technology onto a full-size 850cc motorcycle with all the fruit of a top contender? 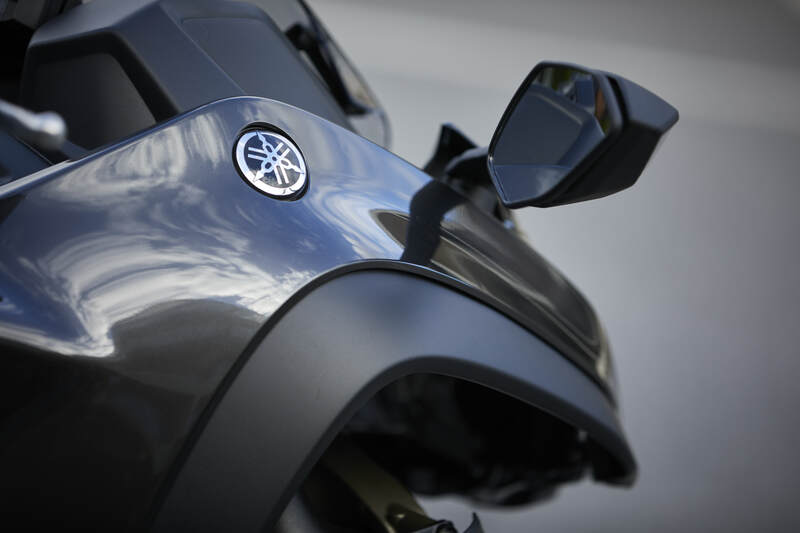 Yamaha has made that step and, as a result, we have just witnessed a pioneering turning point in the market yet again. My background as a test rider made this model so appealing from a technical point of view and the first thing I wanted to know was how it all works. Then, once I understood that, if it worked convincingly enough to attract the masses or if it was just another gimmick. 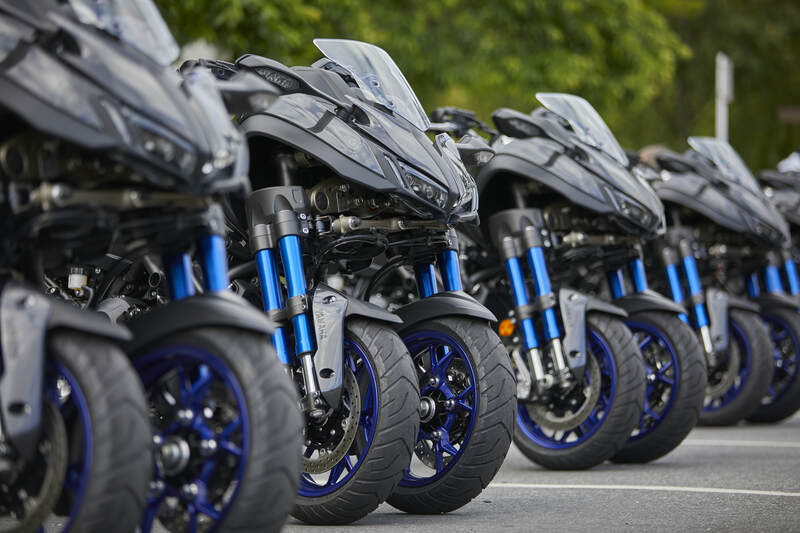 Yamaha has a brilliant record with delivering some of the world’s best motorcycles, with success in just about every category. In fact, this isn’t the first time Yamaha has put irons in the so-called Leaning Multi Wheel (LMW) fire. We have seen a variety of scooters on the market over the years with Yamaha releasing its very own Tricity. However, the Niken represents something completely different. 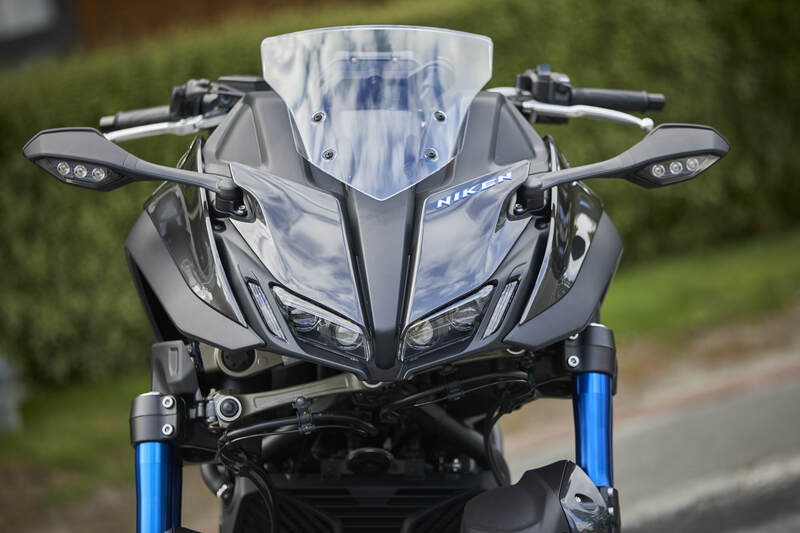 What we essentially have here is an MT-09-based machine coupled with the wildest looking front-end on the market that has now created a class of its own. When I first laid eyes on the thing, I was taken back, it was so unusually unconventional yet the mechanical details were overwhelmingly impressive. 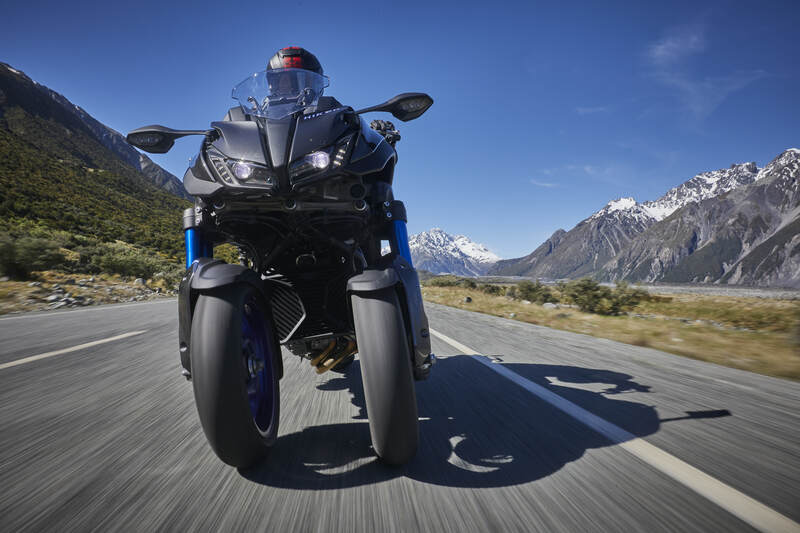 It looked to me like something batman would ride in the latest marvel movie production, yet had a distinct lack of cheesiness and humour about its execution. It took me all of 30 seconds to decide that this machine was a gorgeous balance of mechanical prowess with just enough normality to not intimidate the rider. Yamaha’s design boffins have made it enormously appealing, balanced perfectly with the mechanical marvel that immediately makes riders like and you and I want to jump aboard. But before we do, let’s look at the ting on paper. 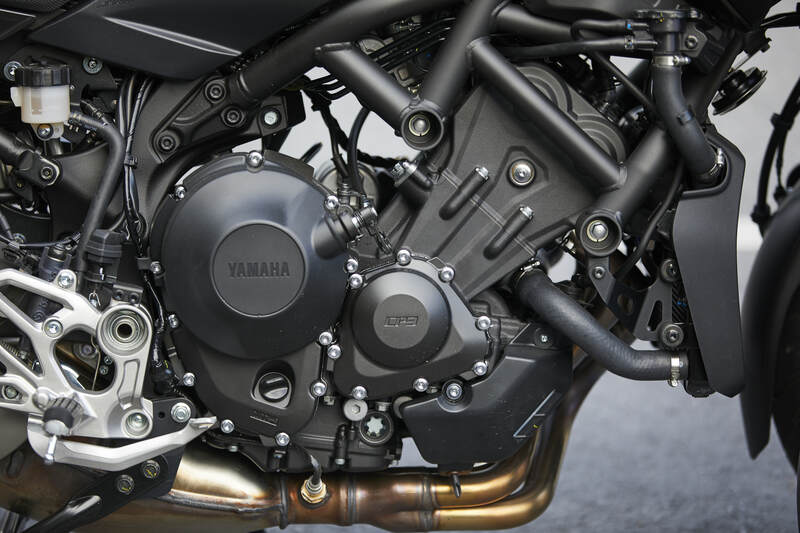 Yamaha has based the Niken on the MT-09. The engine was optimised for the world-first model and features a few alterations such as an 18 percent heavier crank and revised fuel mapping. It results in 85kW (115hp) and 87.5NM of torque, which makes the Niken well and truly lively enough to get a mailbox full of speeding tickets. Frankly, I don’t know anyone who doesn’t like the triple-cylinder MT range of engines, so we can give that a tick. Another important change required to turn the conventional MT-09 platform into a wildly unconventional leaning three-wheeled affair was the chassis. 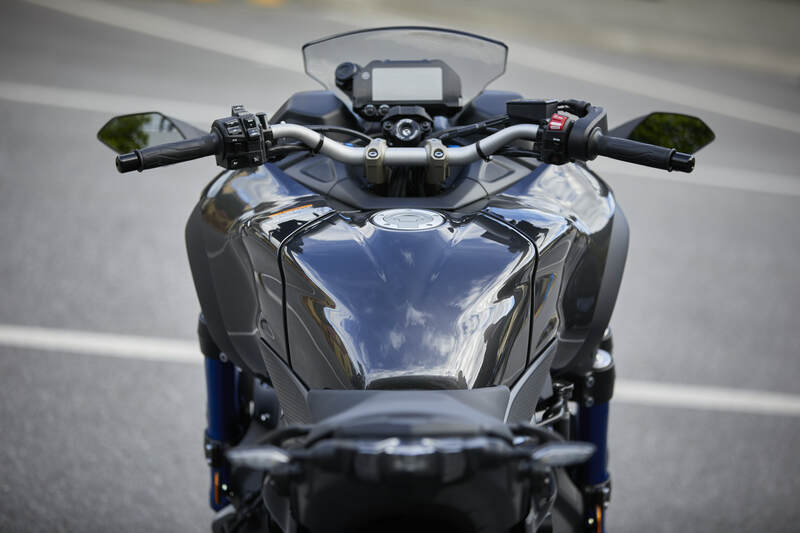 The Niken features a unique hybrid steel/aluminium chassis which allows both flexibility and rigidity, paired with an extra-long swingarm (over 1.5x longer than the MT-09), a wide handlebar along with a small and compact fuel tank. In fact, the tank is similar to the firm’s flagship YZF-R1 superbike which, on the Niken delivers (proven) range of over 300km. 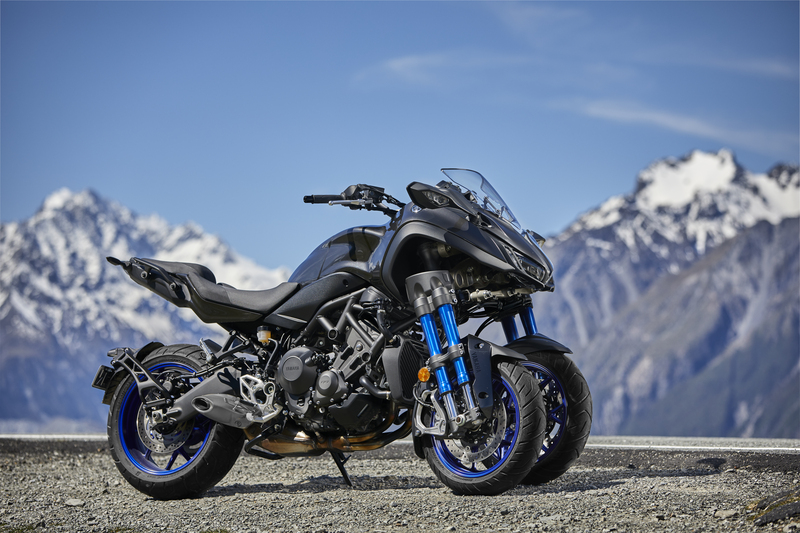 The Niken retains the 17-inch rear wheel of of the MT-09, but sports a pair of 15-inch front wheels, all of which are shod with Bridgestone (have asked) rubber. The ergonomics make for a very comfortable seating position and, as a 185cm rider, I certainly sit on the bike, not in it. The seat-to-’peg ratio is spot on and allows for plenty of room on the bike. In all of this re-modelling of the MT-09, it’s important to mention that the Niken didn’t lose its ability to lane split. Yes, the Niken is only 120mm wider than Yamaha’s GT900 Tracer. The Niken features fully adjustable suspension which, even my pedantic racer pedigree, gladly approved of. It’s worth mentioning here that you will see four fork struts which, apart from giving it an aggressive appearance, actually provide several functions. Only one fork on each side has suspension internals, the second fork is there to provide rigidity and stability. However, one of the most interesting things is that the spring rate is substantially reduced as a result of the dual-axle setup, which makes for an unbelievably plush ride, especially when you’re cruising and not introducing diving or excessive weight transfer through acceleration and braking. Something I’ve never experienced before. Unsurprisingly, the of-so conventional rear end of the Niken didn’t share quite the same plush feeling of what was happening up front. In fact, the shock was over sprung and had a tendency to be harsh over larger bumps which I put down to allowing for a wide range of rider weights and the addition of a pillion, or even luggage – there’s a GT version on the way, after all. The traction-control system, with several modes, functions well both on- and (surprisingly) off-road. A well set-up bike with the right suspension and geometry settings should create a great deal of mechanical grip, especially when applying power to the ground, so traction control should be there when things get a bit too spirited, rather than becoming a bragging point for how many times you saw the TC light flicker during a sprint to the local. The Niken did just that, traction was superb and the system engaged quickly and without a massive reduction in power when required. Speaking of bragging points, it would have been great to see an all-the-rage full-colour TFT dash, but it’s far from a deal breaker. The switchable mapping was distinct and delivery in all modes worked well. I was so pleased to see a cruise control feature on the Niken; something I used frequently and the simple two-button system required no explanation. 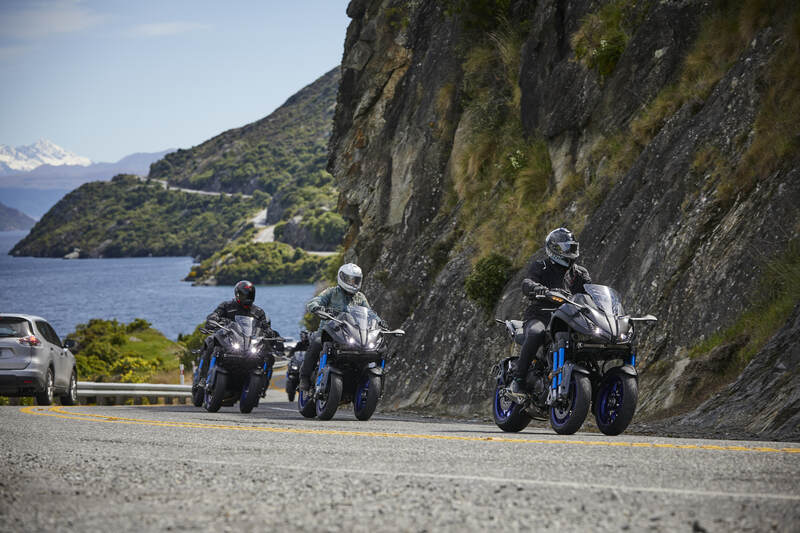 These characteristics combined and gelled so well, it truly made the Niken feel like a sportsbike – yet touring 900km across the New Zealand landscape was an absolute breeze. This machine could very well be the ultimate sports-tourer. But it is that incredible front-end that sets this bike apart. The impressively styled and integrated dual-wheel setup features Ackermann-type parallelogram steering to allow each front wheel to follow its own path which is why this innovative design works so well, but more on that later. It’s a brilliant feat of engineering because it delivers the one thing every single rider wants more of – confidence. Let’s face it, we’ve all got an opinion on what this bike might feel like this thing before even turning a wheel. I did, but that had been changed before I’d made it to the exit of the hotel car park. Queenstown, NZ, has some of the most incredible roads I’ve ever ridden. I spent many hours aboard the Niken during the two-day 900km test and I wanted to ride it for every minute I could. The second you start rolling, without question realise you are riding a vehicle that has all the quintessential characteristics of a top-end sports-tourer. It was actually quite remarkable how similar the Niken felt to a conventional two-wheeled bike. I’ll even bet that nine out of 10 riders wouldn’t pick the difference if they sat on it blindfolded! The Niken was incredibly user friendly and took no time at all to feel comfortable. The 50/50 weight distribution linked with the wide handlebar gives you incredible confidence – and that’s before you even think about leaning the thing over. And no wonder, because Yamaha said evoking unprecedented levels of confidence was one of the absolute key targets with the Niken. A confident-feeling front end did wonders for me on a racetrack and chasing that key component was always a challenge – just ask Andrea Dovizioso. And it’s something that only a few production motorcycles have given me, but throw an extra wheel into the mix and something special happens! The Niken doesn’t just allude to the feeling of high-grip levels, it physically hands it to you on a platter, with the second rubber-shod wheel offering up to 40 percent more grip. My racing years have taught me to be vigilant on changing road surfaces and I have always been hyper aware of potential dangers around the next corner. Yamaha have dispelled so much of that with their LMW design, because not only is the road surface largely absorbed through the Ackermann link and the independent front suspension, but it’s almost impossible to experience a front-end washout – it’s a truly unique and awesome experience. Small- to medium-sized bumps are virtually undetectable on the Niken, but it never once transferred into a feeling of vagueness or not knowing exactly where or what the contact patch was doing through the ’bars. I really put the Niken through its paces on a wide variety of roads where the LMW front end showed its true strengths and weaknesses. 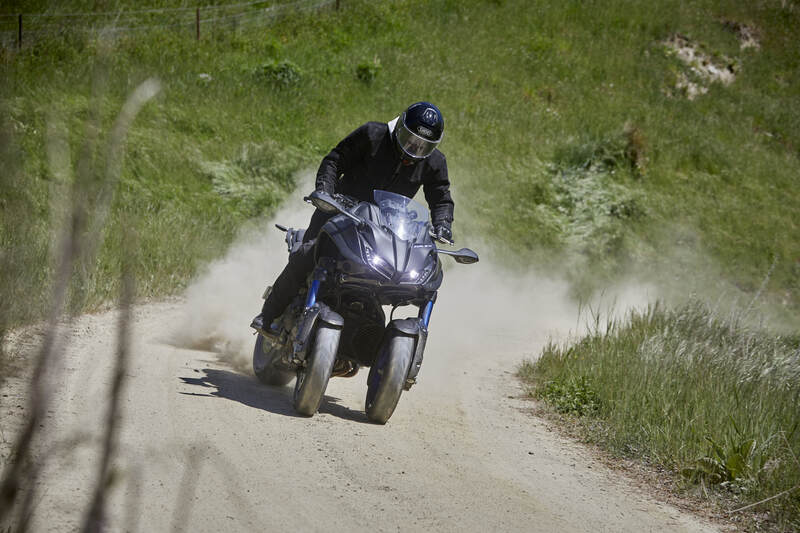 And where most telescopic-forked two-wheelers tend to want to stand up when you’re trail braking into a corner, the Niken rewrites that convention. Instead, it turns in particularly fast and wants to continue to turn in with ease, right to the apex of the corner. Even when some decent trail braking is applied, the front wheels continue to feel planted and offer direct feedback. Funnily enough, it’s the slower-speed corners that offer the least amount of feel. The feeling can be best described as a lack of direct contact with the front tyre through the handlebar. When the pace slows, it feels to me as though road surface is absorbed through a series of bushes and links, rather than normal handlebar to front axle connection we’re used to. Once the speedo clips to triple digits, the thing tracks like it’s on rails. This is where it really shines, and for me, makes up for any small low-speed lack of feel. Under braking, I assumed the Niken would track along blemishes or ruts in the road and become unsettled – I should have known not to make ‘normal’ assumptions about the Niken because the 260kg mass pulled up with ease and, regardless of the condition of the road, all while maintaining that planted front end feel. 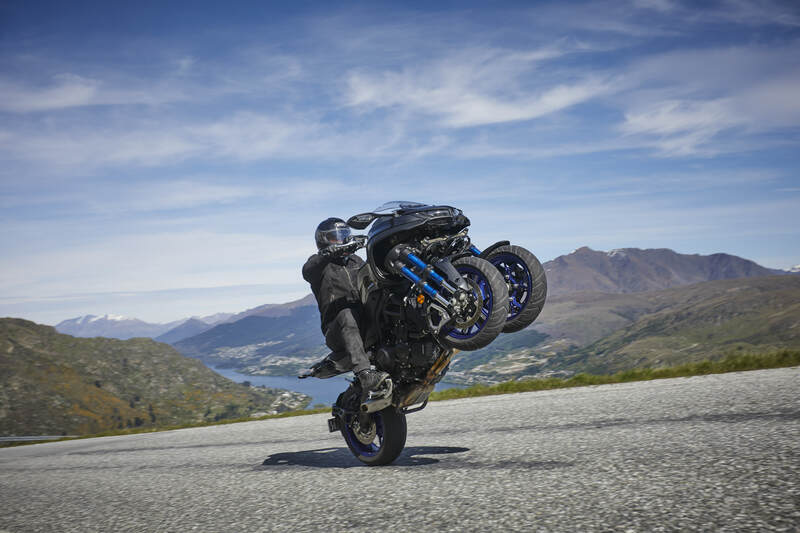 According to Yamaha, the Niken offers an significant 20 percent increase in braking capabilities – there’s that increased confidence thing again – and it even has independently activated ABS on each (front) wheel to allow for slippery patches of road, gravel or uneven surfaces. With my income-insurance policy up to date, I even tried a full-blown emergency braking situation with one wheel on the gravel and one on the road… and it passed with flying colours. When considering the price of the newly released LMW, i’s difficult to compare apples to apples when there are no other apples in the basket. In fact it gives Yamaha an opportunity to ask whatever it pleases when its carving out a new and unconventional niche – and frankly, new technology doesn’t come cheaply. But at $22K (plus on-road costs), you really do get a lot of bang for your buck. If you do decide to throw down your hard earned cash and pilot one of these weapons, be prepared to be looked at, questioned about what it is, asked where it came from and ‘can you hold my baby’ while they take a selfie with it. This is new territory for any rider and, after carefully considering it, I think the most accurate way I can explain the feeling is to compare it against the best sports car you’ve driven – but without the lateral G-forces – and then throw in its 45 degree lean angle potential. It’s fun, it’s impressive and it’s inspiring to ride. This is without doubt a machine you need to test ride before forming an opinion on. If given the choice to ride a two-wheeled sports-tourer or the first ever Leaning Multi Wheel vehicle, I choose the Niken. Technology has completely changed our lives in so many ways and you would think that we are approaching the tail end of what is actually possible with wheels. After all, the wheel is a pretty old invention, yet still forms the basis of so many vehicles today. 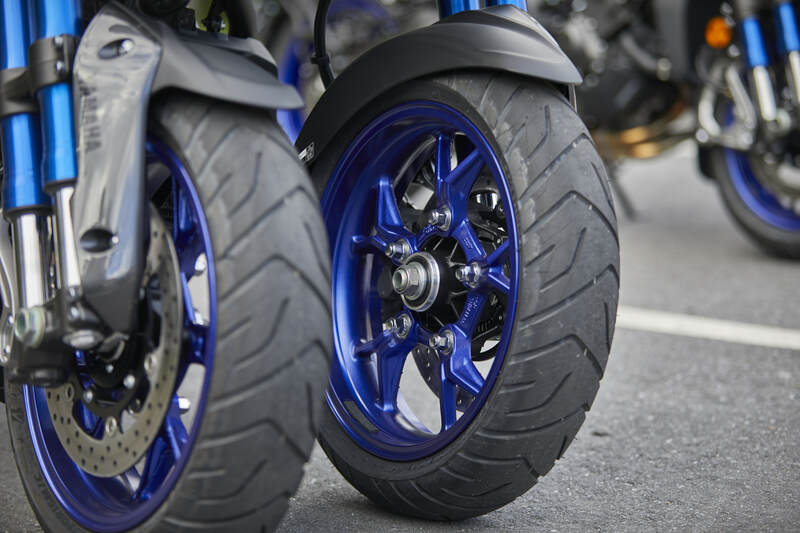 Okay, so Yamaha hasn’t actually reinvented the wheel here, but it has taken a 200-year-old invention and applied it in a way not yet seen in large-capacity sports-touring motorcycling. How it works is actually fairly simple and most of us use the technology every day. The Ackerman steering principal is applied to just about every vehicle with a steering wheel.But where the Niken differs, is that Yamaha has added lean-angles to Rudolph Ackerman’s 200-year-old principal. Added a third dimension, if you will. The basic configuration of the Niken allows for both front wheels to have it’s own pivot. Then a tie rod located on the front of the robotic looking setup locks the pre-set angles together to form a trapezium that deforms when the wheels pivot left or right. It’s this moving parallelogram that allows both wheels to turn in a perfect circle, yet each wheel has a different turning radius. This method allows all of the dotted lines to meet at the centre point of the inner and outer circles. It’s not quite rocket science, but we’re only half way… Now, about that third dimension..
Motorcycles need to lean to turn corners. This leaning also counteracts various forces acting upon the bike. In order to maintain this with the Niken, Yamaha adds a parallelogram link arm structure to allow the wheels to lean to a maximum of 45 degrees. When this occurs, the tie rod and parallelogram link stay, well, parallel to each other. While this is all happening, both fork structures are then able to absorb bumps independently while still allowing precise movements and maintain strength and rigidity. If tech isn’t your thing, it’s just lucky that Yamaha made all that science look good as well! It’s impressive engineering, it’s definitely not a gimmick and without a doubt works.